NAD or better known as Aceh is a province at the tip of Sumatra Island. This province has outstanding natural beauty, ranging from the coast to the mountains. After the damage caused by the tsunami in 2004 in most of the region including tourist places, Aceh back up and organize the tourism sector very well. The mosque was built by Sultan Iskandar Muda in 1612 has become an icon of Aceh. The main building of the mosque is white with large black dome surrounded by seven towers. Magnificent impression increasingly felt in the presence of a large pond and fountain in front of the mosque is reminiscent of the Taj Mahal in India. 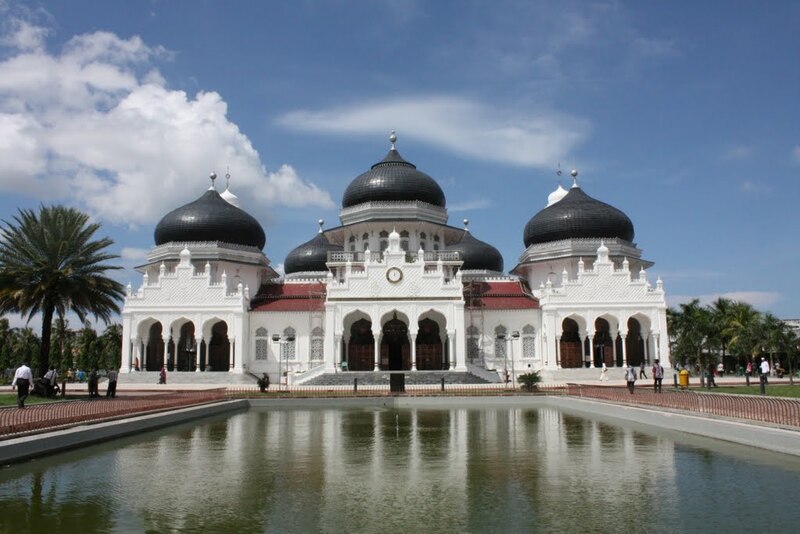 The mosque is a place of tourism in Aceh which is much visited for its beauty. Huffington Post website put Baiturrahman Mosque into the list of 100 most beautiful mosques in the world, even Yahoo! calls this mosque as one of the 10 most beautiful mosques in the world. This is of course more and makes proud people of Aceh and Indonesia. If you want to buy a souvenir, you can come to the Aceh market, located at the back of the mosque. After being around, you can have culinary tour because there are plenty of food vendors in this market. 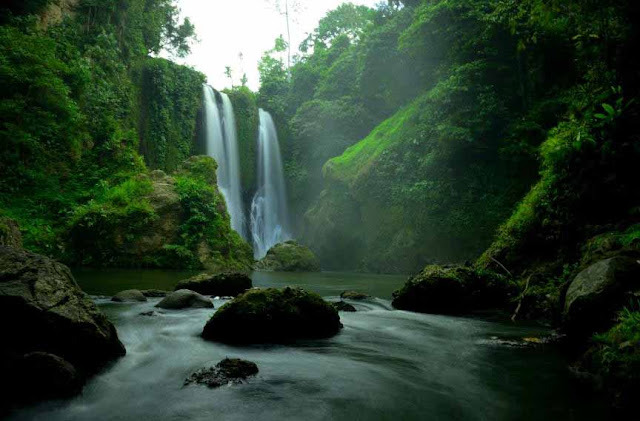 The waterfall is located in the Sidomulyo village, North Aceh and can be reached within 30 minutes from Lhokseumawe. Here you can see the twin waterfalls with a height of 75 meters surrounded by shady trees. If you want a different experience, try to come up with to bring your camping gear. 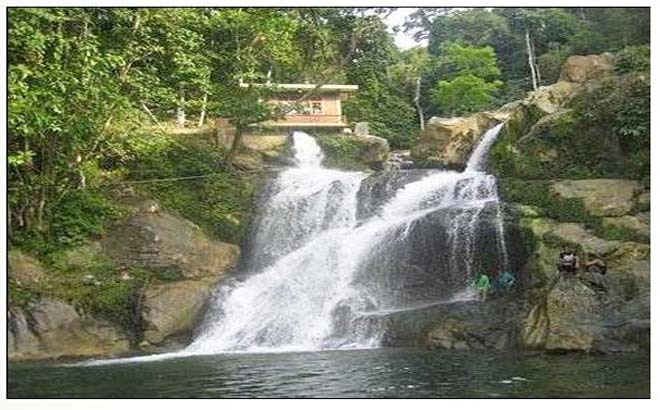 The waterfall is located in the Suhom village, Lhoong District, Aceh Besar. To be able to reach these places, you have to pass through streets heaving with mountain views Paro and Kulu. On the way, do not be surprised to see a lot of monkeys hanging around in the street. These monkeys are usually requested fruit or other snacks on road users passing by. Acehnese don’t need to be jealous to Bali which has many beautiful beaches since there are also many beaches with stunning scenery in Aceh. 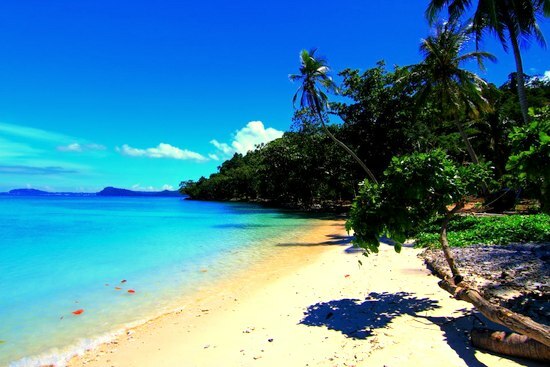 One of the tourism destinations that can be seen is Lampuuk Beach. 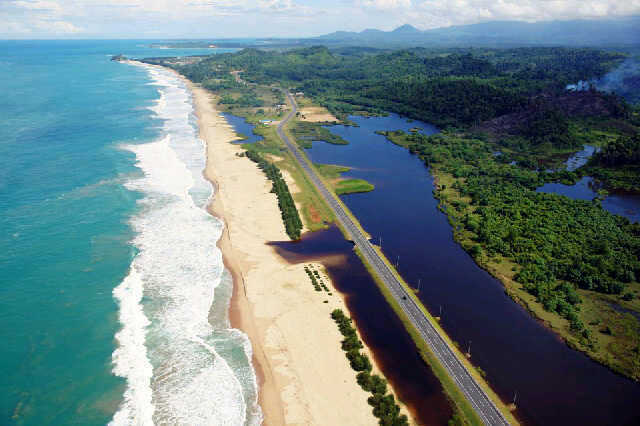 This beach is also known as Kuta Beach in Aceh. 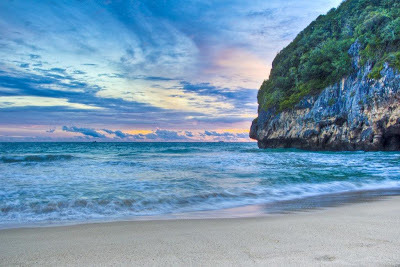 Lampuuk beach has a coastline of 5 km from south to north with soft white sand and cliffs at the end of the beach. Many activities you can do at this beach ranging from surfing, sunbathing, swimming and also play banana boat. Tsunami stroked Aceh in 2004 leaving a mourning feeling for the survivors. 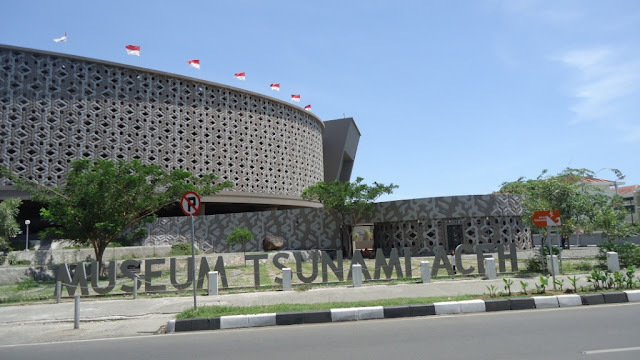 To honor the memory of the victims, Tsunami Museum was built in Sultan Iskandar Muda street in 2009. Inside the museum, there is a long hallway with the roar of the waves and running water that will remind you of the major disaster. This Tourism destination is always visited by many tourists who want to see what is left of a tsunami. Many displayed objects as the rest of disasters such as the victim's bike. In addition, there are photos of the victims who died and the testimony of survivors stories also electronic earthquake simulation tools. The museum was built as an educational center and a shelter if a tsunami came back. The Museum is open every day except Friday from 10:00 to 17:00. Iboih beach offers beauty beneath the sea that you can enjoy without having to swim though. Here you can snorkel and diving. When you snorkel, get ready you will be fascinated with clear water. If you are not satisfied playing in the water, you can still spend time picnicking at the seashore, under the palm that is so soothing or bask in the sunlight. Lhoknga beach location is close to Lampuuk beach located about 20 km from Banda Aceh. Lhoknga beach has wide and sloping sand, suitable use for sunbathing or playing beach volleyball. There is also a shady tree to where you relax. If you are not satisfied relaxing and sunbathing, you can try surfing in the sea. Lhoknga Beach has the waves which are suitable for surfing with a height of 1.5 to 2 meters. Ulee Lheue beach is only about 3 km from the center of Banda Aceh, precisely located in the Meuraxa District. The most popular activities at this beach are fishing. In coastal areas there are many sellers of fishing equipment if you forget to bring the tools for fishing. There are mountain ranges that exist across the beach, so that adds to the beauty of Ulee Lheue Beach. Pantan Terong is a hill that used to enjoy the beauty of Central Aceh from above. 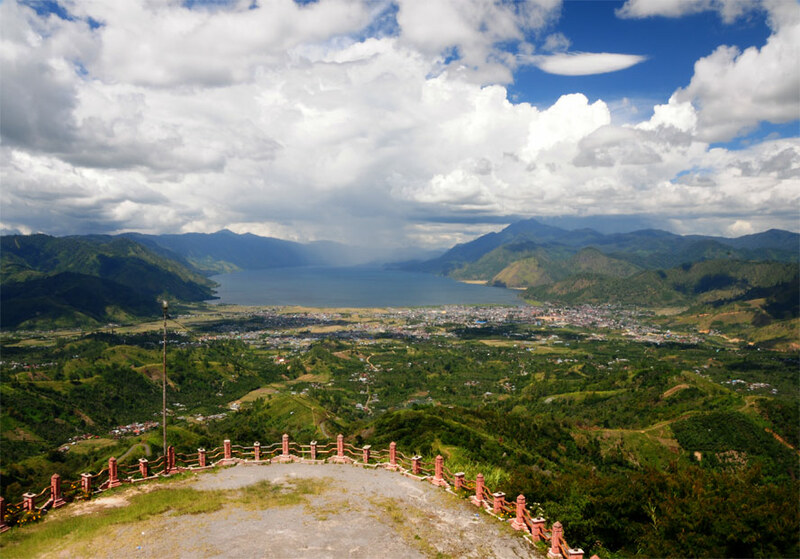 This tourist spot located at an altitude of about 1830 meters above sea level. You can see Lake Sea Fresh resembling giant cauldrons from here. In addition you can also enjoy the sunrise and sunset with the view was gorgeous. Kuala Merisi is a place to enjoy the beach with a quiet and silent atmosphere. 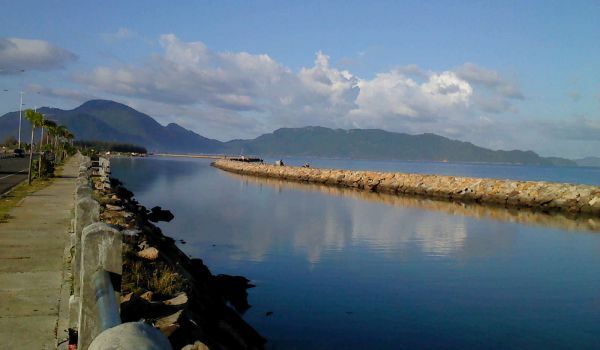 It is Located at the Ketapang village in Krueng Sabee district. 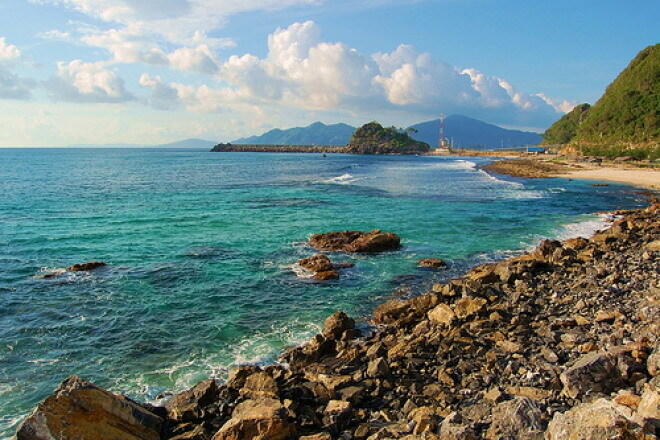 With a long coastline and a small beach the waves of Kuala Merisi is very suitable to play water at the seashore. It is also frequently used as a surfing location because the waves are very suitable for water sports.